Oh well done! I think a lot of parents like the idea of gardening with their children but, if they’re not gardeners themselves, are wary of starting. Tools plus advice is a good confidence booster. It would be interesting to know which items sold well as you have a nice selection on your stall there! 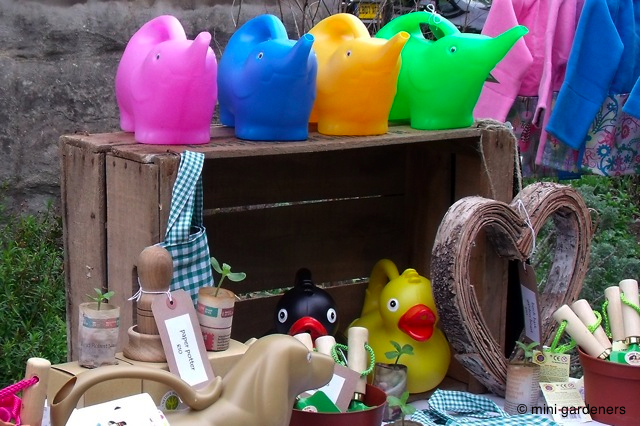 Hi Caro, the watering cans and the hand tools for age 3+ were the best sellers. One of the highlights of the afternoon was listening to everybody’s gardening stories – fascinating!